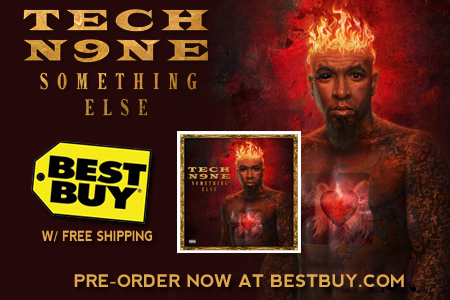 Tech N9ne is about to have the biggest moment of his career with the release of Something Else. Naturally, the hometown press is all over it as The Kansas City Star published an article which takes a look at this pivotal moment. The article takes a look at Something Else, the songs and the concepts behind the album, and includes multiple quotes about the many tracks, as well as Tech’s perspective on where this album has taken him and could take him. ALL ACCESS DELUXE VERSION OF ‘SOMETHING ELSE’ FROM BEST BUY!